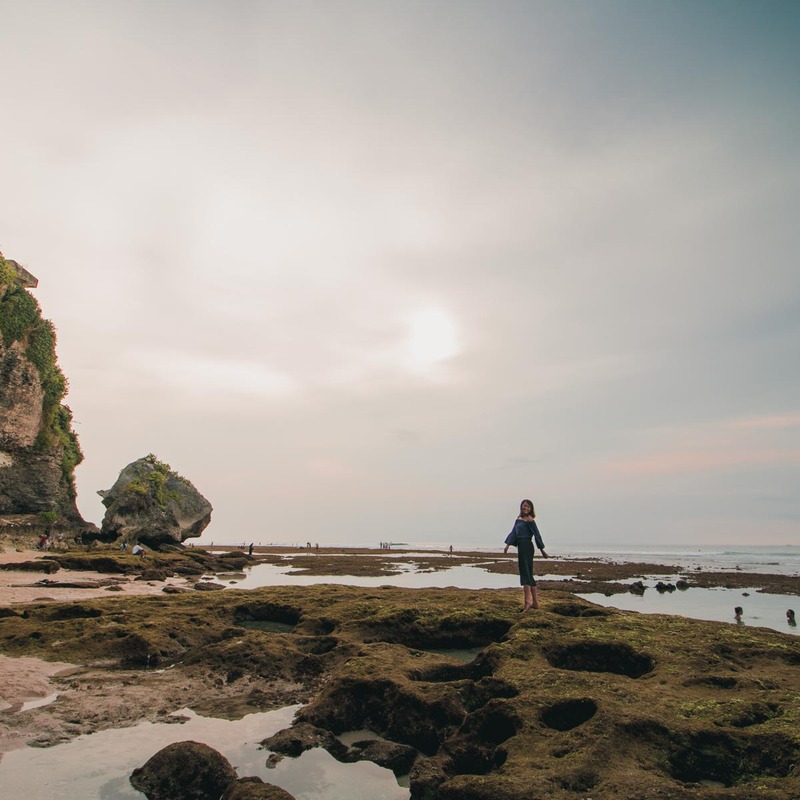 From hidden waterfalls to expansive paddy fields, Bali still has many hidden gems just waiting to be uncovered. 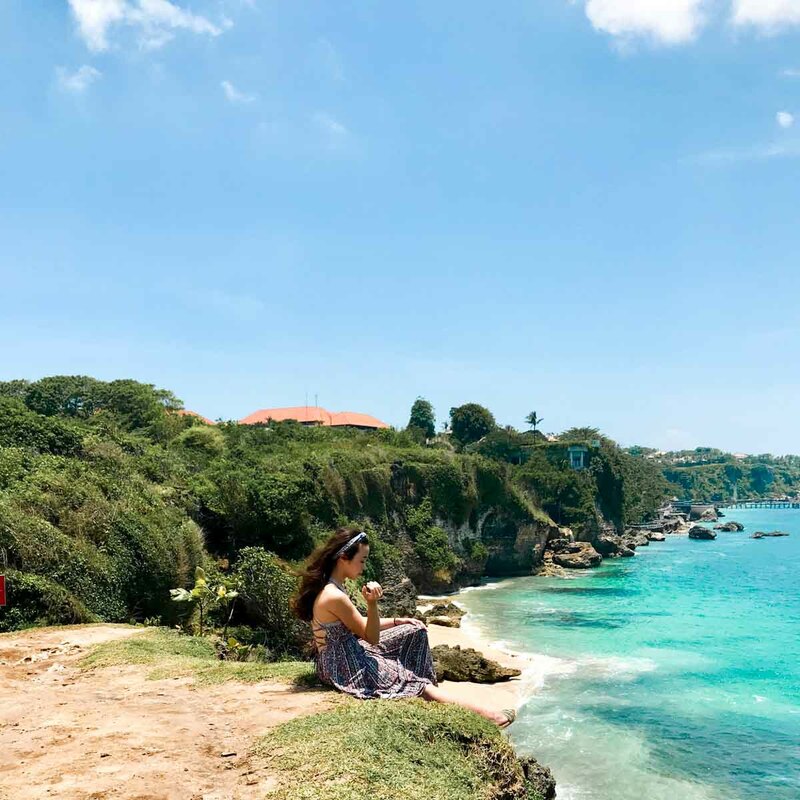 A couple of weeks back, The Travel Intern held an Ambassador’s Boot Camp in Bali where we were challenged to explore Bali beyond her white beaches and villas. 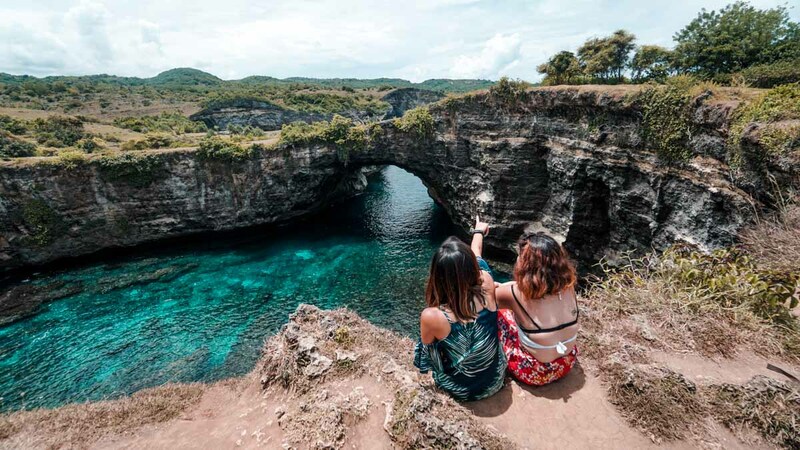 We uncovered some hidden gems only locals knew about, and also rediscovered some of Bali’s touristy spots for new perspectives. Doesn’t this beach cave remind you of the one featured in Taylor Swift’s “Style” music video? 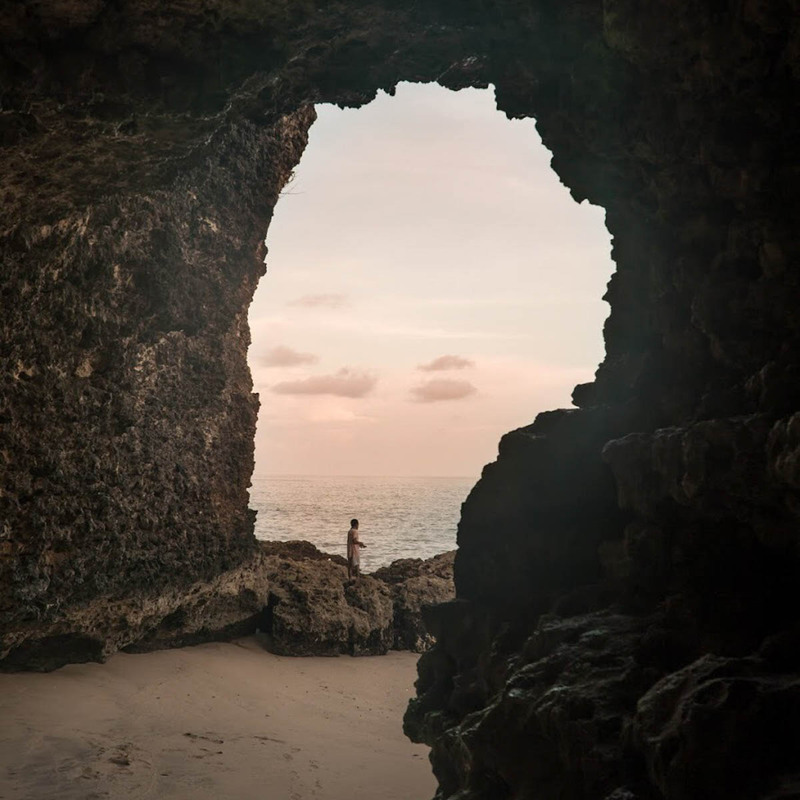 Well, there’s no need to head to Morocco when Bali has a cave that’s just as stunning — an excellent photo spot for the gram. 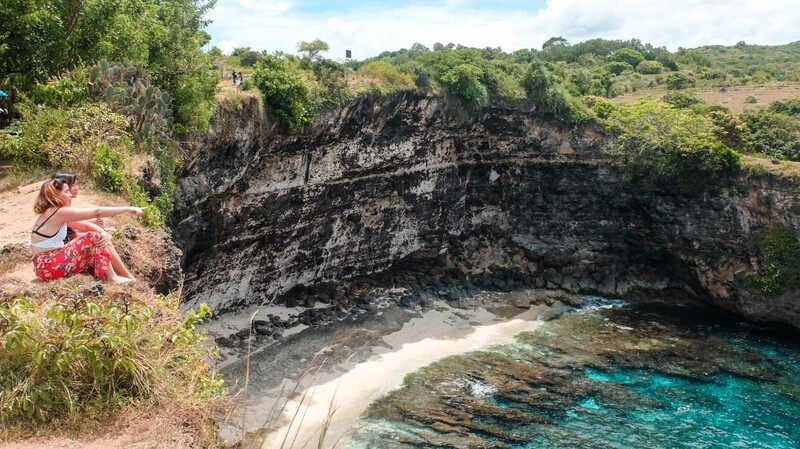 This beach cave at Pantai Tegal Wangi is often missed due to its nature of only being accessible when tides are low. It’s a 15-minute walk along the coast from the carpark, and the terrain may be rocky depending on the tide. The trail isn’t too tough for a view like that, just be sure to check the tide timings prior to avoid disappointment. If you’re unable to get down to the beach due to the tide, the view from the starting point is just as pretty with that endless blue ocean that goes on to the horizon. 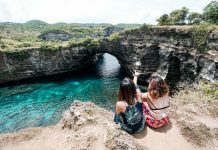 This hidden gem was generously recommended by our local friend @backpackertampan — an avid photographer who’s spent the last 12 months exploring some of the most beautiful sights in Bali. Do check out his Instagram @backpackertampan! *Pro-Tip: Bring along ziplock/waterproof/diving bag for your electronics as you may get wet getting here. Massive structures are always a hit at making great photos. Neatly tucked away in huge backyards amongst wild plains, an abandoned plane does give off a sense of mystery and obscurity. Definitely not your typical #ootd backdrop. This site is easily accessible, just next to a Dunkin Donuts shop along the road. 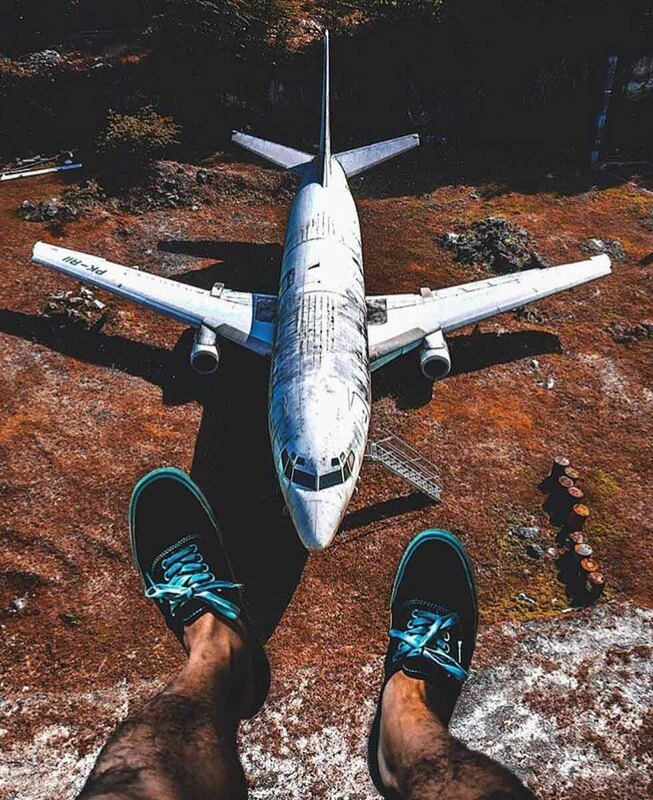 You can get up close and personal with the plane, scoring you some sick shots. We spoke to a local who was guarding the plane and he mentioned that this plane may be revamped into a bar later this year (July’18). We bet it’ll be a pretty neat concept! So do check it out in its raw form while you can, or not, and expect a plane party! 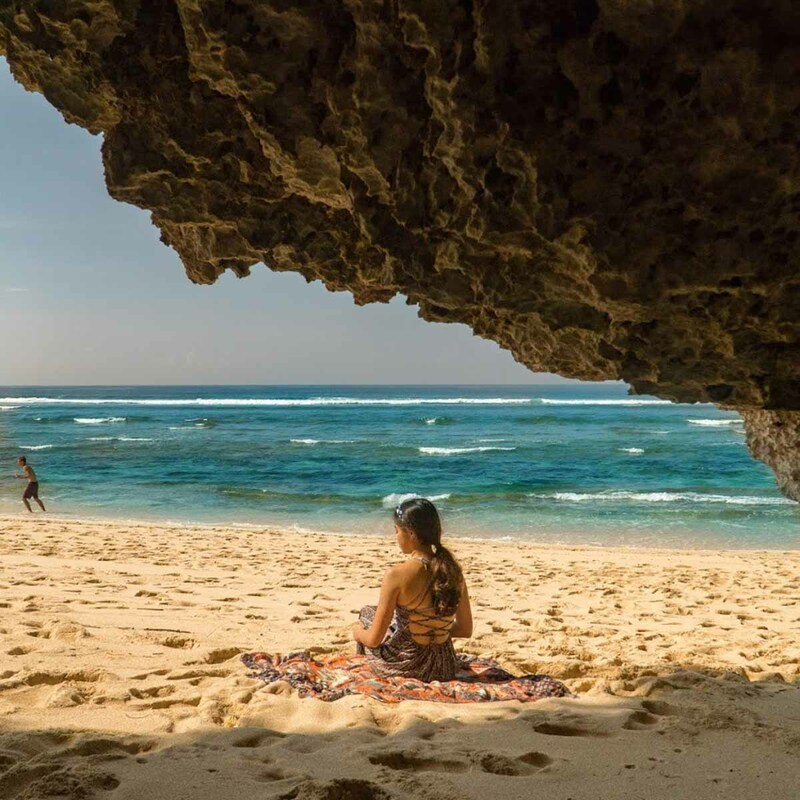 Suluban Beach of Uluwatu is an isolated beach that remains largely untouched. Most who make it here are surfers trying to catch good waves on the pearlescent turquoise seas. Bring along your swimmers for a dip in the clear waters amongst the reefs. The walk to the beach passes through some limestone caves, which are great photo spots too! Be there at about 4:30PM – 5:30PM for the best natural light just before the sun sets. 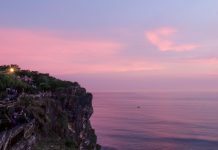 Also at Uluwatu is another secret location only locals know of! 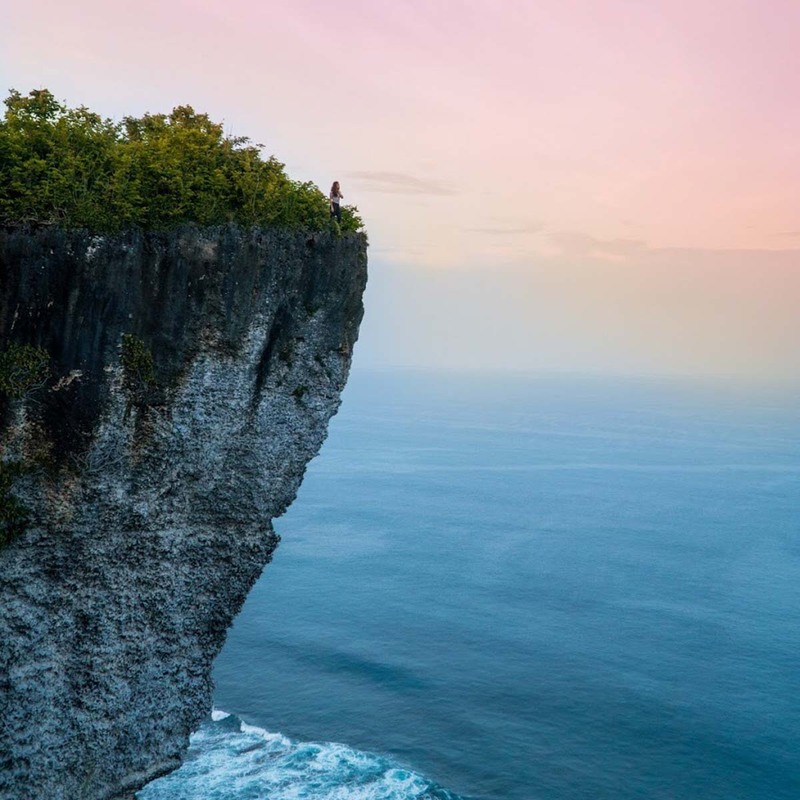 The Karang Boma Cliff is a hot photo spot where many local Instagrammers daringly perch themselves on the edge of a cliff for a sick shot. It is easily accessible if you’re riding in with a scooter. However, if you’re driving in, you may have to park your car at the side of the road and expect to walk for another 2.5km before arriving at this view. An hour before sunset would be the best time to visit. We loved how the skies turned into a beautiful gradient of pink and orange, while seamlessly merging with the blue seas. 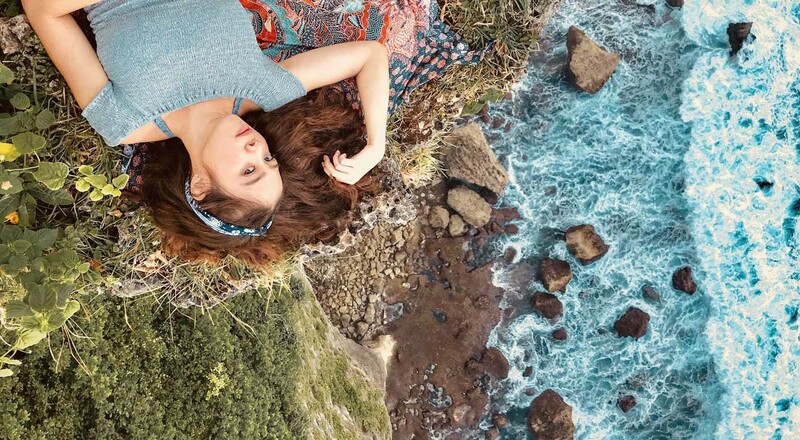 And yes, the featured image above was also taken at Karang Boma Cliff! 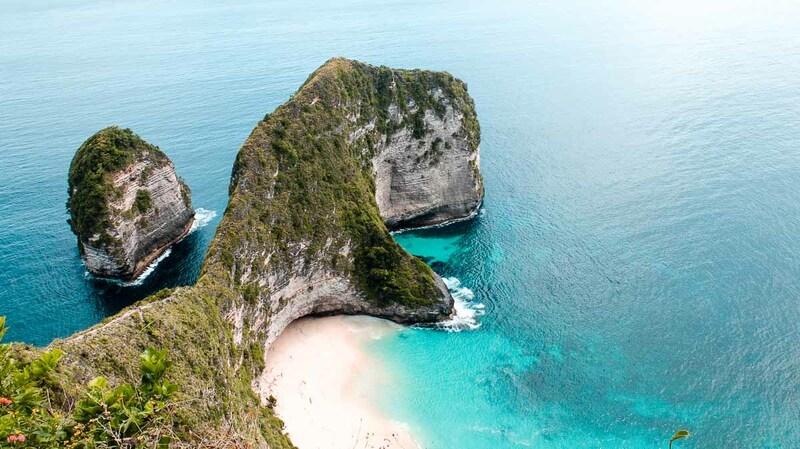 Melasti Beach is a relatively untouched beach situated below a cliff. The crystal clear blue seas and unlittered sand make this beach one of the best in the Ungasan region. Developments have since begun around the place with asphalt roads paved to the beach. So we do recommend everyone to visit before it gets flooded with tourists. Tukad Cepung Waterfall is a cave waterfall that’s not only mysterious but also holds a view that’s beyond magical. With the right amount of sunlight hitting the waters, you’ll get what seems like a million glistening diamonds hanging on threads. 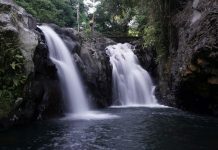 To get to this natural beauty, there’s a short 15-minute hike into a forested area until you reach the waters. Take a left and follow the stream. At some point, you’ll have to climb over big rocks but nothing too tough for this enchanting view. *Pro-tip: Get to the waterfall before 4PM to take advantage of the best natural light. 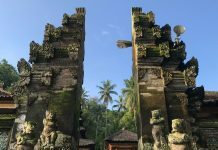 An authentic Balinese architecture from the 11th century, the Pura Kehen is not only the biggest temple in eastern Bali but also the finest built. 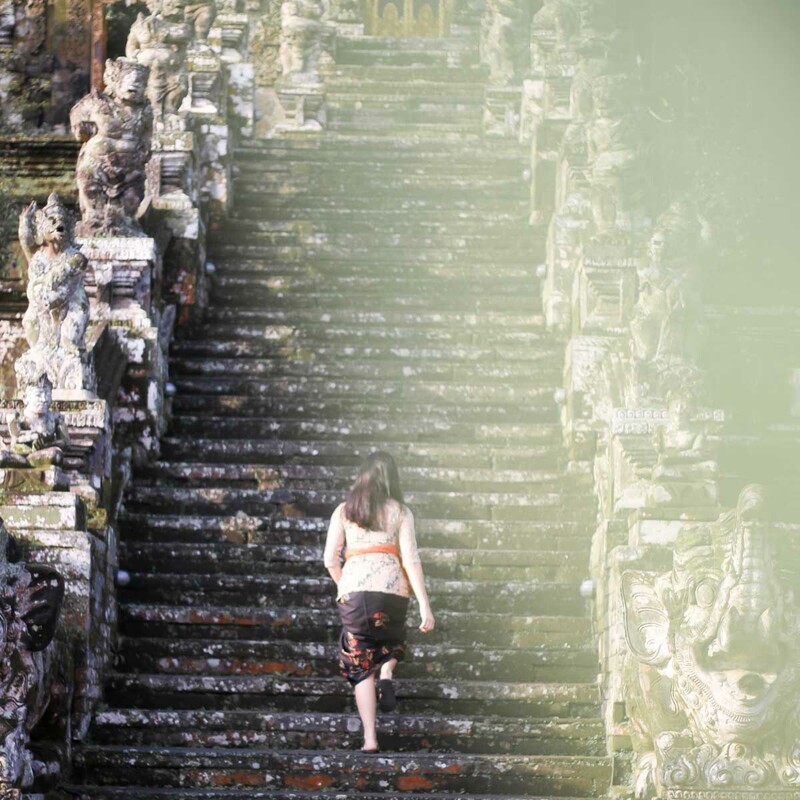 The most iconic feature of the Pura Kehen would be the steep flight of stairs that lead up to the intricately decorated entrance of the temple. 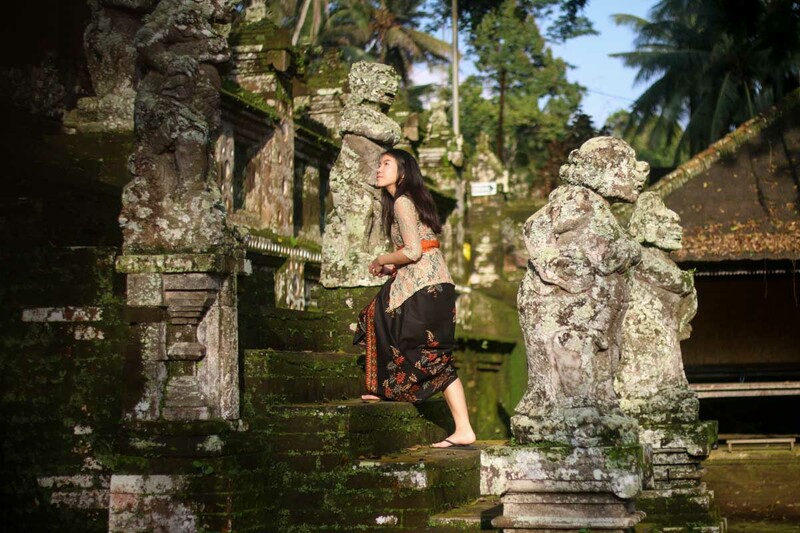 Pura Kehen is a photographer’s favourite because it sees less crowd as compared to other touristy temples around Bali. This means you’ll get wider angle shots without capturing strangers within the frames. 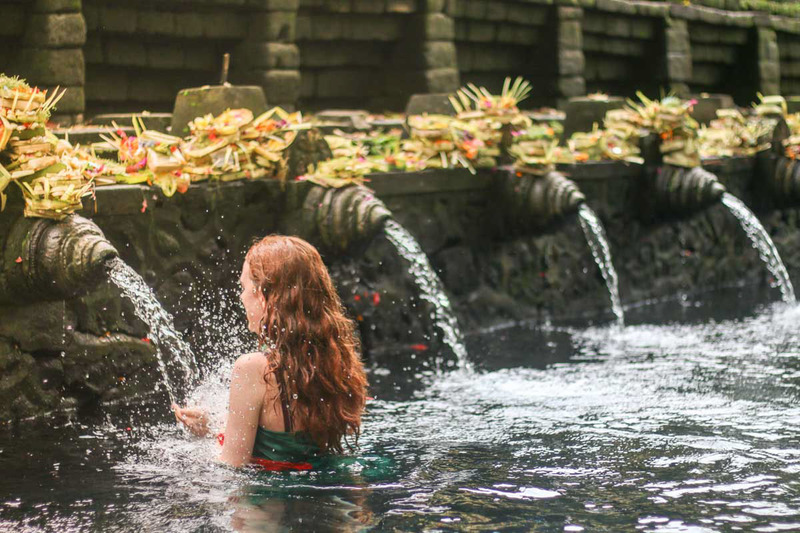 At the Tirta Empul Temple, pilgrims dip in a pool of spring water and cleanse themselves at the 11 waterspouts — starting from the left, and making their way to the right — where the holy water is said to purify and heal. There’s a sense of tranquility and calmness that you can almost feel just by looking at it through pictures. 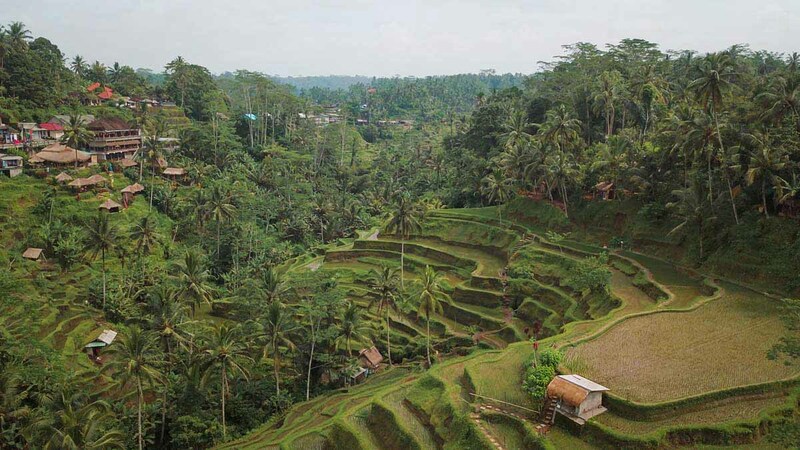 Tegallalang Rice Terrace is renowned for being one of the prettiest and largest rice fields in central Bali. 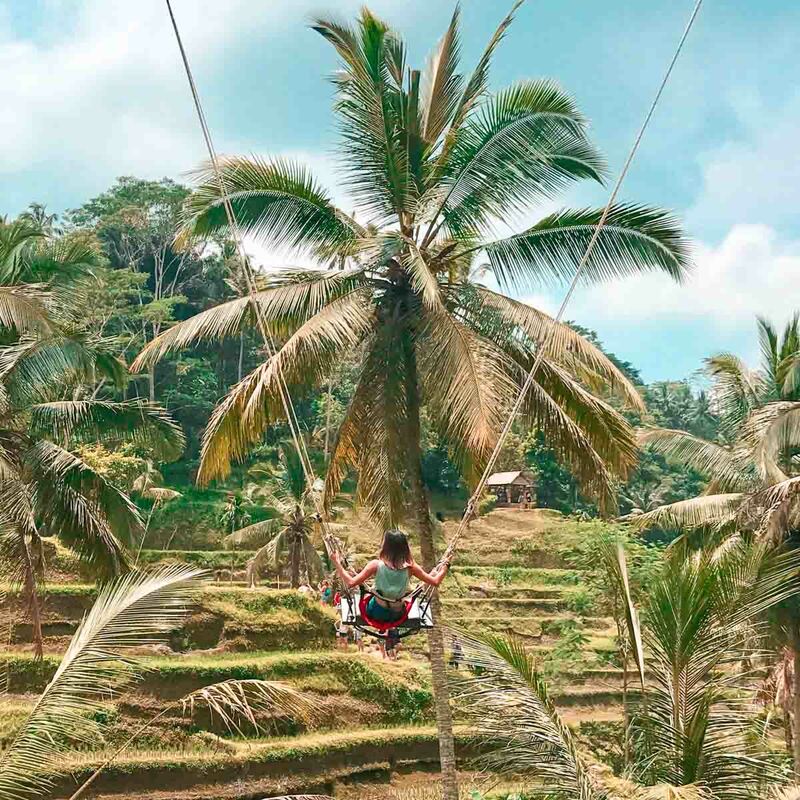 Besides the seemingly endless plains of green paddy fields, Tegallalang also has novelty swings that are all the rage now in Bali. 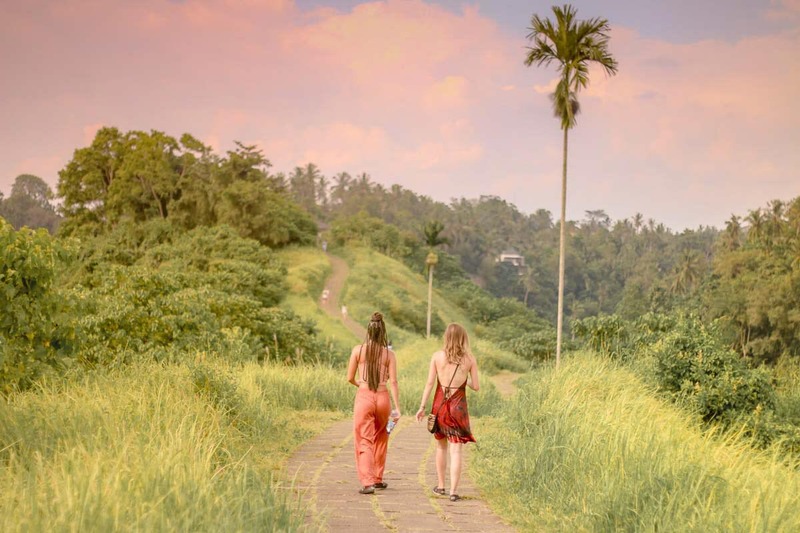 The Campuhan Ridge Walk is a popular spot for short hikes with rewarding views. 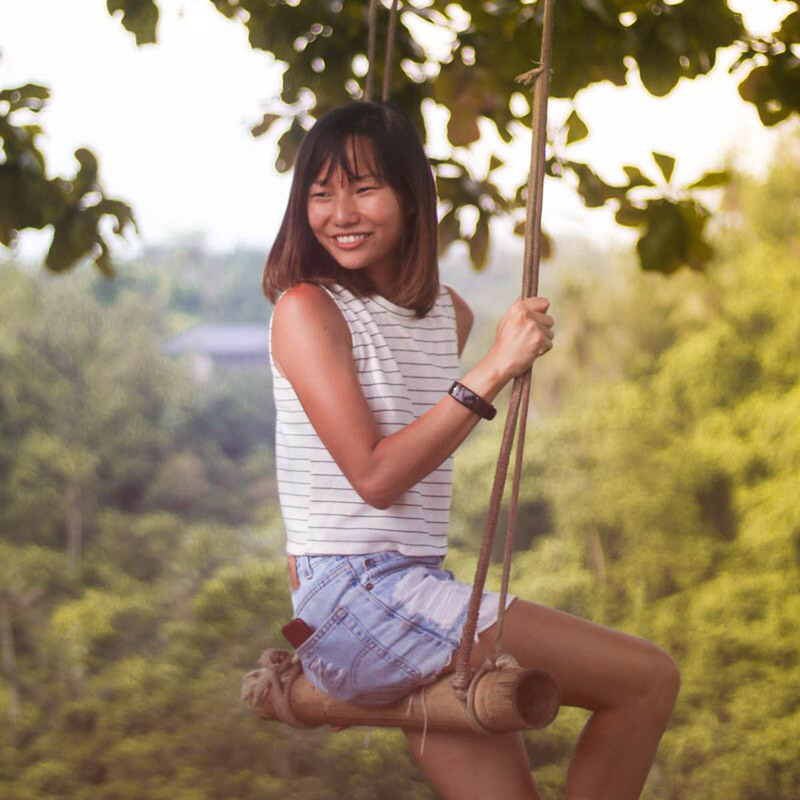 At the ridge, you’ll get views of rice paddy fields and Balinese architectures from the nearby residential areas. The paved ridge is an easy walk, and if you’re there at the right timing, you’ll be able to capture stunning sights of misty vapours from the rich greenery. The short 2km path might just be the longest 2km you’ll spend walking as you’ll find yourself stopping every once in a while to capture the great views in front of you. 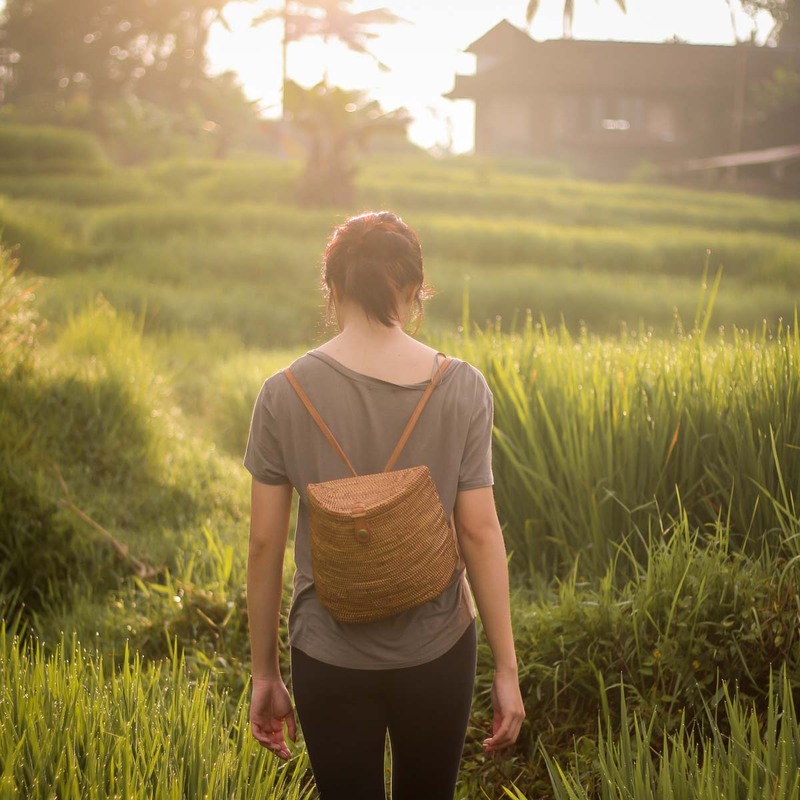 Ubud has many rice fields, if you’re short on time to visit the larger plantations like Tagallalang and Jatiluwih, you can still get your rice paddy shots by stopping by a plantation near you. These fields are typically free to visit, but do be careful not to destroy any crops along the way. We visited a paddy field that was just a 10-minute stroll from our villa and got some pretty decent shots against the rising sun. 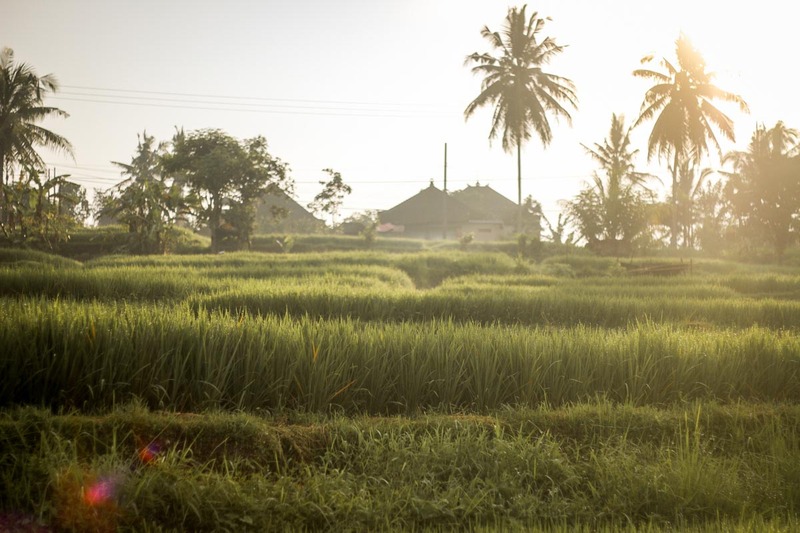 *Pro-tip: Photograph the paddy fields in the golden hour to fully illuminate the beauty of the field gradient. 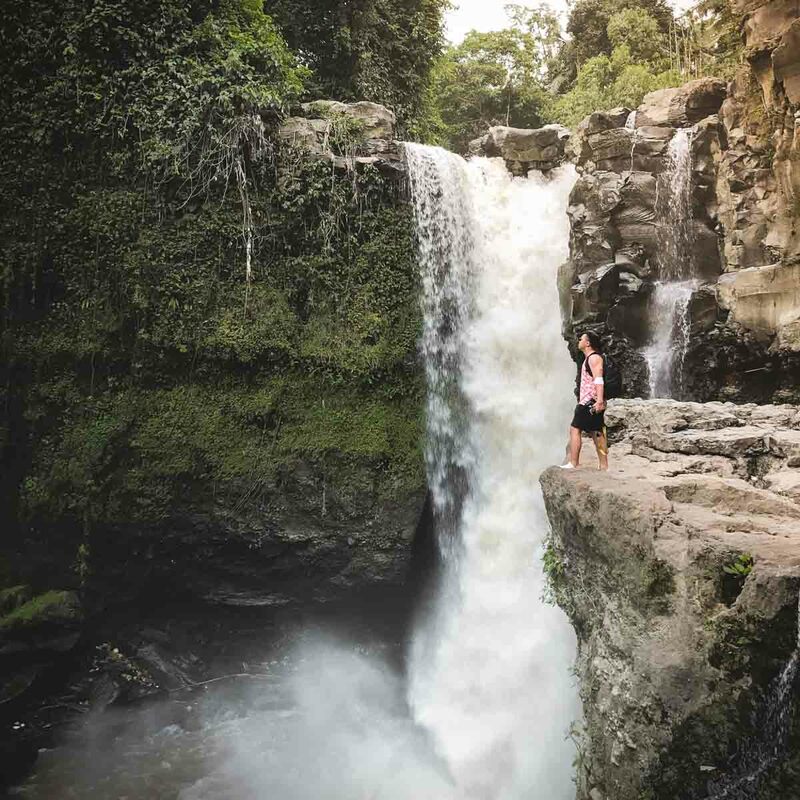 This isolated waterfall is known by two different names — Blangsinga or Teggenungan — depending on which village you come by. For this shot taken above, we went through Blangsinga and took the flight of stairs on the right. Despite looking like a real jungle trail, it took us only 5 minutes to walk down the main road for this view. 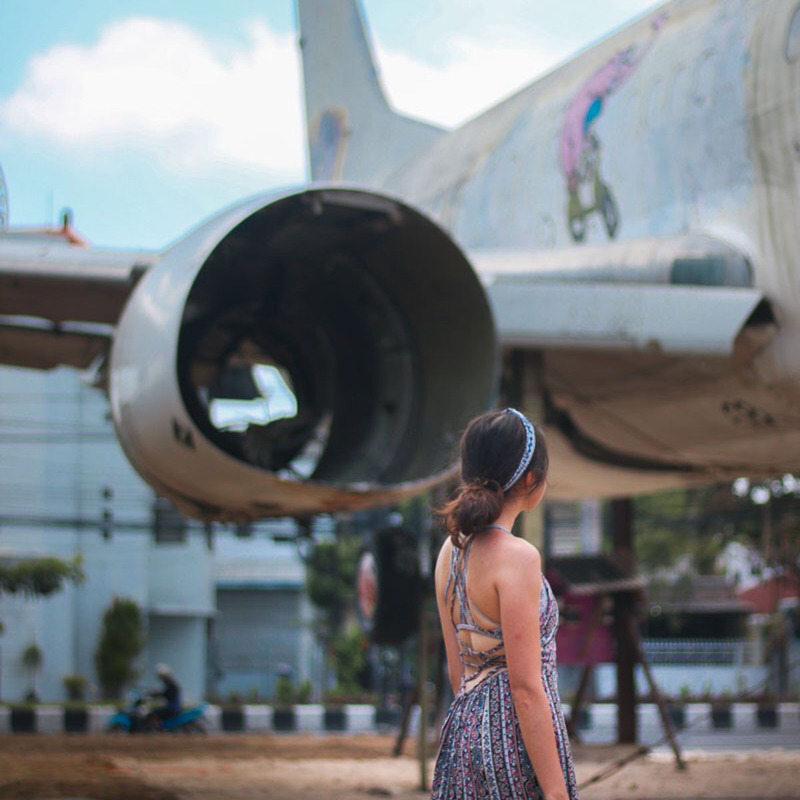 Yet another abandoned plane, this odd sight is one that’s not to be missed if you’re headed to the peninsula of Nusa Dua. Left to rot in a derelict ditch by the highway, the giant aircraft is hidden away from plane plain sight and is not known to many. Our local Balinese driver had problems finding the exact location of the plane too. Even though it’s still rather unheard of, some curious travellers have already made their way to the plane. 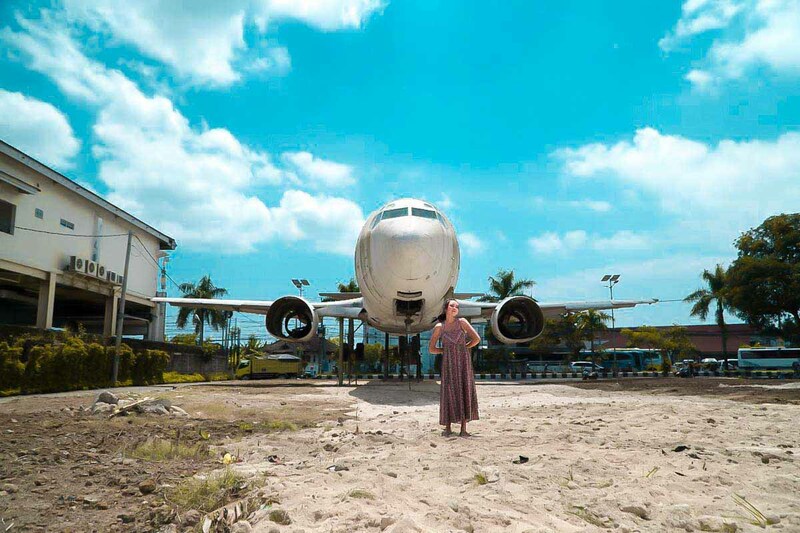 Some locals have also since taken advantage of the plane’s increasing fame and started “guarding” the plane for bribes from unsuspecting visitors thinking an entrance fee is needed. To avoid this, we recommend taking a smaller path beside a drink stall by the highway for a free access. The view is from a higher vantage point on a hill. 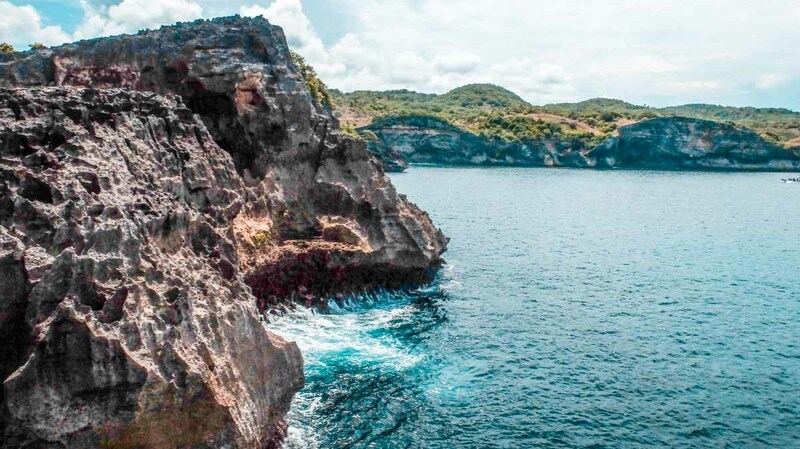 An hour’s ferry ride away from mainland Bali is an island known for her stunning beaches and cliff rocks — Nusa Penida. 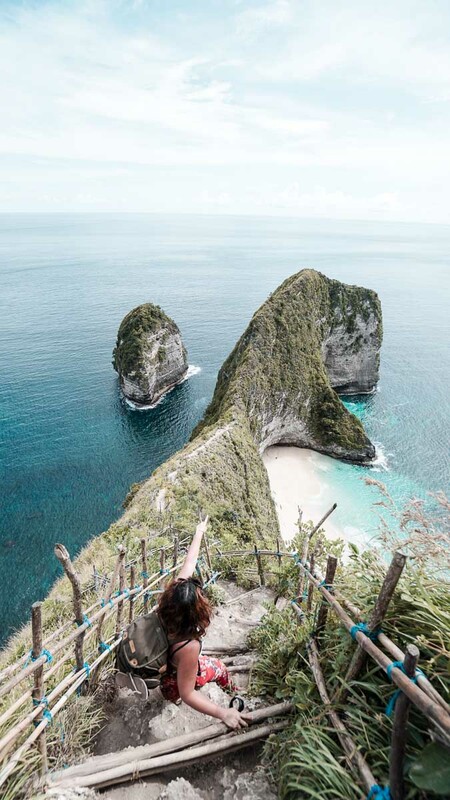 Do dedicate a day to Nusa Penida the next time you visit Bali, the stunning natural rock formations did truly take my breath away when I was there. An arch-like rock formation is the landmark of Broken Beach. It’s at the hilly area where you’ll get the views of the turquoise seas that lead to the open Indian Ocean. RAWR! I see T-Rex! This is no Jurassic Park, but there’s a natural rock formation the shape of a dino head at Nusa Penida’s Kelingking Beach. It’s not difficult to get to this spot as long as you hire a driver on the island to bring you around. There’s a flight of stairs that lead to the ridge of dino’s head, continue on and you’ll reach an unspoilt beach in an hour or two. 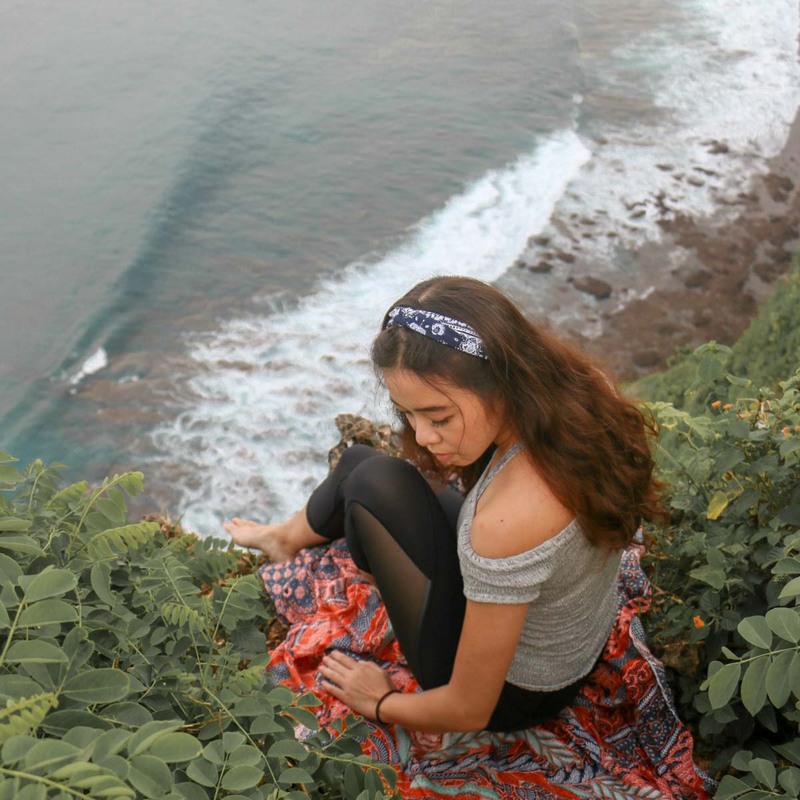 We hope we have your interest piqued with these pictures taken during our latest trip to Bali. 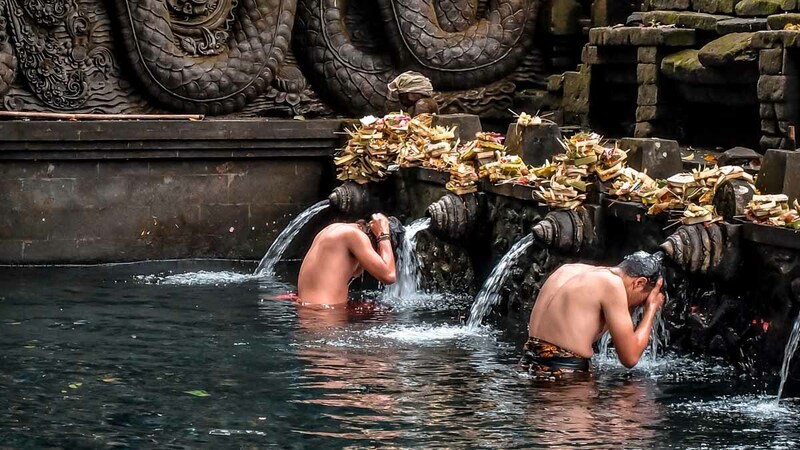 So do get your cameras ready for the “grammy” shots the next time you head to Bali! Bali is pretty huge (about 8 times the size of Singapore, in fact!) and it’s a pity most travellers only discover just a sliver of her beauty. 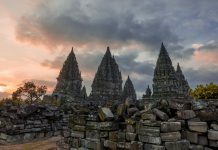 While there are plenty of taxis, Grab, Uber, and Go-Jeks in the developed areas of Seminyak that may bring you to some of these far-flung places mentioned above, you may face problems getting a ride back. If you’re not a Scooter rider, we highly recommend hiring a private car charter. For ~S$40 (depending on car type), you can plan your own itinerary and have the driver wait for you at each spot. These drivers are familiar with these lesser covered spots and can recommend other hidden gems along the way. 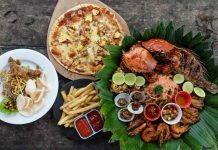 Through our driver, we even managed to discover some of the interesting food spots mentioned in our Ultimate Bali Food Guide! Wonderful post. Your photography is very nice.